Patrick Nolan reports from the Salvation Army in Fort Myers, one of several locations the Fox 4 donated hundreds of books. 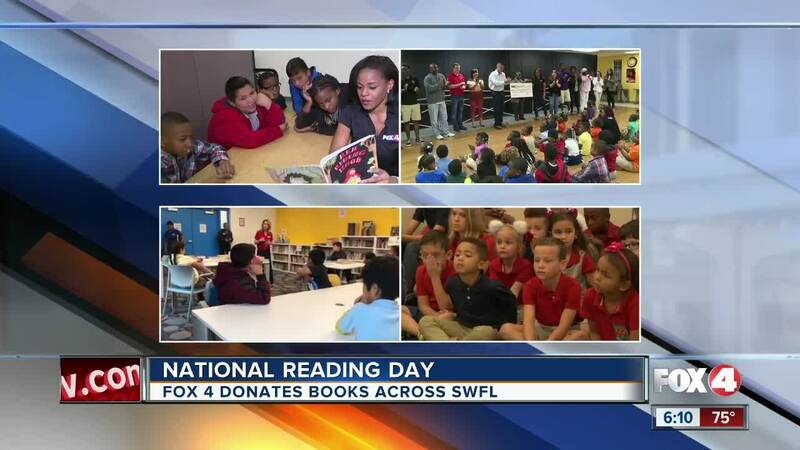 LEE COUNTY, Fla. – Wednesday was National Reading Day, and children in need all across America were getting their hands on free books. And Fox 4 joined in on the fun. The E.W. Scripps Company, which owns Fox 4, was taking part in the “If You Give a Child a Book" campaign through its Scripps Howard Foundation. 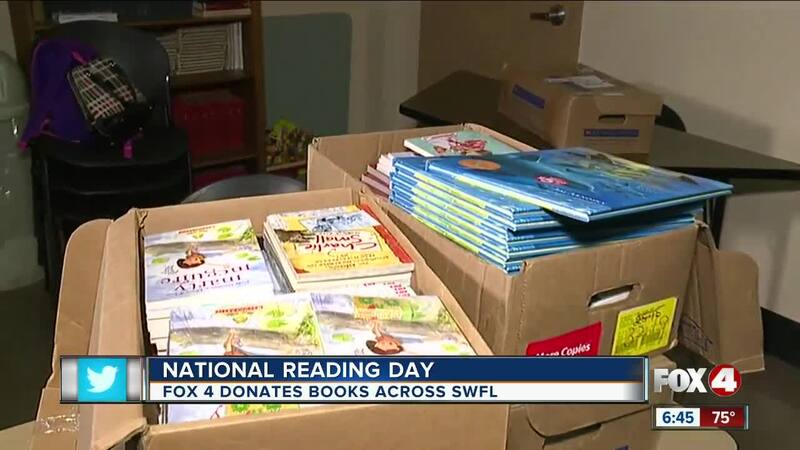 Here at Fox 4, we raised over $6,000 to buy books and decided to drop them off books at five different locations in Southwest Florida. Wednesday, Fox 4 anchor Lisa Greenberg and meteorologist Dani Beckstrom read to students at Littleton Elementary School in Nort Fort Myers. We also donated some bookshelves and bean bags to Littleton. Books were also donated at The Salvation Army in Fort Myers , the Boys and Girls Club of Immokalee , the Quality Life Center of SWFL , and the African Caribbean American Catholic Center 's after school reading program in Dunbar.